I still don't know what to make of the chance meeting I had yesterday. 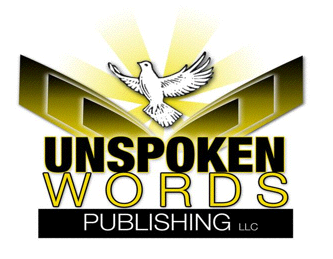 I'm in the process of writing my first book and I'm exploring all of the options regarding book publishing, self-publishing, printing, agents, etc. Monday, at the Arabica Coffee Shop, while seated in one of the deep brown leather chairs near the front window, to my right plops down on the couch a young African-American woman. On the table in front of us is Michael Larsen's "How To Write A Book Proposal," which I had collected from the library. This woman, who I will refer to as Ms. Brown, noticed the book and immediately commented, "Are you writing a book?" She leans forward and tells me that she's published two books - a poetry book that she published in 2005 and a self help book that she just published this past Friday. Hmmmmm... you've got my attention. I ran her through a series of questions about the publishing. The first book she self-published, the second she published through her own publishing company, which she formed over the last four years. Ms. Brown went on to tell me that she teaches a writer's class at the local community center. Her class covers how to overcome writer's block, putting your story together and the ins and outs of the publishing world. It sounded like something I should probably get more info on. We chatted for a while as she fiddled with the Internet, sent text messages and fielded a few phone calls. Through the course of our conversation, I learned that Ms. Brown was only 26 years old. She had been working as an insurance agent for the last seven years, but had this dream of becoming a publisher, "because that is where the money is." Before she left, Ms. Brown ran out to her car and retrieved a flyer for her upcoming writer's workshop. She said goodbye and sauntered out of the coffee shop. 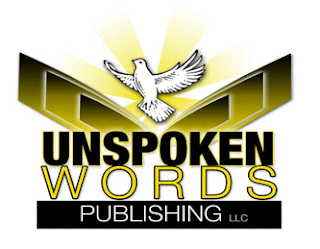 Being a web savvy guy, the first thing I did was check out her website for Unspoken Words Publishing LLC. Her site was built using GoDaddy.com's WebsiteTonight®, a product I had used over a year ago. It works. You get a basic site in a short period of time. All you have to do is add pages and content. When I started reading the site, I was genuinely surprised at how bad it was. There were words used improperly, misspellings and sloppy mistakes like an extra space before a period. Here, take a look. This is an excerpt from the Bookstore Page, which has the heading: About the CEO. On the page are her two books and descriptions of the books. Check this out... I've put in bold some of the gems. Transformation by (Ms.) Brown is a book of poetry that will up left one's spirit. It is a must have book for young people trying to find their way, and feel their is no way out. In the book Transformation you will see the transformation of a girl turning into a young lady. In this book you will read about the trails she faced and the sin she had to deal with threw poetry . In the book you will read how she still turn to God in spite of all her sins. Transformation is a uplifting book that will help anyone see the end of the tunnel. It gets better on the description for the second book. I haven't changed spacing or any of the words. Taking the innocence from the sunshine is about a women fighting to take back her innocences that was stolen from her as a little girl back. Throught out the book you will see the trails she had to face such as fornication, abuse, abortion,neglect, drugs, and abandonment. No one understood her fight and the only release she had was poetry. In the book she comes to a crossroad, weather she will break all the rules trying to break a generational curse for her daughter, Or will she fight for her life and salvation? When I was in Las Vegas, I ran an advertising agency for several years. One of the number one issues we had to deal with was proofreading. When something goes to print, it is too late. There is no turning back. I always told our staff that we needed to have at least six eyeballs review the copy for grammar, spelling, punctuation, and most importantly - did it make sense? After reading the two paragraphs above, it killed any interest I had in Ms. Brown's writing class or her publishing company. If this is how badly she handled her own work, what would happen to mine? A publisher should be looking over your shoulder, not snoring at the wheel. What I really started to wonder was what was in her books? How was the writing there? One could only imagine. I could chalk it off to her being young, but this was just a sheer slaughter of the English language. I'm half tempted to give her a call and offer my services as a proofreader and copywriter. What do you think. Should I call her and help her or just let her go on her merry misspelled way? I believe you should have informed her of her mistakes. I think you should have offered your services then wrote your blog accordingly. She is young and may think she knows more then she really does. You're a business man, act like one. Good story though. I would have advised her if I KNEW her. This was a one shot meeting in a coffee shop. She was really pushing me to go to her "Writing School" - What? At the time I met her, I was just starting my blog (July 2010) - she had be struggling with this for years. Strangers don't appreciate advice from strangers. Of course, I do it and get it all the time on this blog. LOL. Part of the game. I like you're intentions, but sometimes it just doesn't work. I approached this from an outsider with a critical eye. If she's out there, she's fair game. I know I am. LOL.